I know I am super late to the party, but I decided to whip up a new Mother's Day Card. 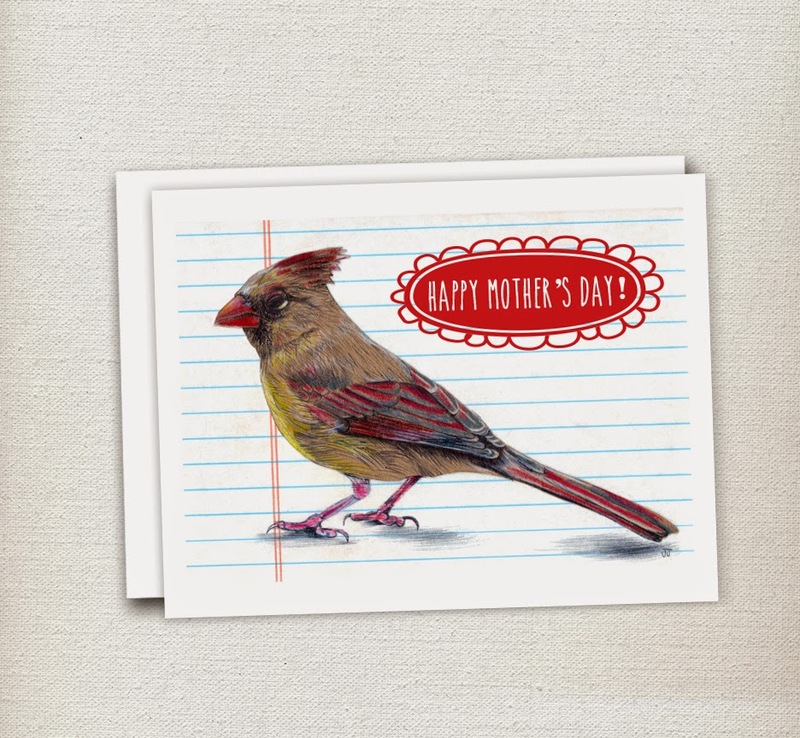 Featuring a sweet momma cardinal, this is sure to please your bird-lovin' momma. I actually made this with my grandmother in mind. She loves all things birds. These cards are up for sale in my Etsy shop and can be purchased at Day Shift, right here in Carbondale. I will also be selling these in my booth at the Art Fair at Laumeier, which happens in St. Louis over Mother's Day weekend. You won't believe how many of these puppies I'll sell there. Yahoo for procrastinators! OK. Gotta get back to pumping out artwork! Ta-Ta for now.